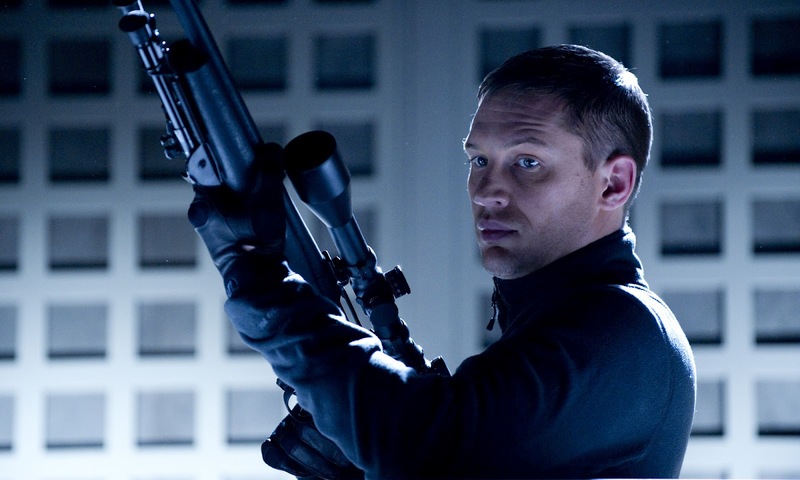 Home / CELEBRITY NEWS / Tom Hardy in the Comedy-Action Film, "This Means War"! Tom Hardy in the Comedy-Action Film, "This Means War"! Chris Pine and Tom Hardy portray the world’s deadliest CIA operatives who are also inseparable partners and best friends… until they fall for the same woman (Reese Witherspoon) in “This Means War.” Having once helped bring down entire enemy nations, they are now employing their incomparable skills and an endless array of high-tech gadgetry against their greatest nemesis ever – each other. James, better known as Tuck (Hardy), is ruggedly good-looking and dangerous, but not nearly as skilled at romantic matters compared to his best friend and partner Franklin Delano Roosevelt Foster, better known as FDR (Pine). Together, their unrivaled flair, formidable covert abilities, and good looks, make them the best of the best among CIA agents. But FDR and Tuck’s longstanding personal and professional bond is put to the test when they unwittingly begin dating the same woman. That woman is Lauren Scott (Witherspoon), a senior product evaluator for a leading consumer advocate publication. She has a far-reaching knowledge of products ranging from ovens to smartphones, and is a skilled leader at her workplace. What Lauren is not good at is meeting men, until her best pal, Trish (Chelsea Handler) takes matters into her own hands and signs Lauren to an on-line dating service – which Tuck had recently, and reluctantly, joined. Making FDR and Tuck believable as CIA agents was tasked to Paul Maurice, a military advisor with extensive wartime experience, who serves as the film’s CIA technical advisor. Maurice worked closely with Pine and Hardy to give them a high proficiency in weapons-handling and hand-to-hand combat. Production designer Martin Laing and his team upped the spy-against-spy action by devising gadgets utilized by FDR and Tuck as they wage war against one another. Laing’s team researched CIA weapons and surveillance techniques and made them even more high tech and fantastic. Valentine’s not yet over when non-stop romantic action and comedy starts February 22 when “This Means War” opens in cinemas nationwide from 20th Century Fox to be distributed by Warner Bros. Below is the international movie trailer of "This Means War". • "This Means War" Movie Review: A Spy Movie Like No Other! • It's Spy Against Spy in "This Means War"
• "This Means War" is Based on True Story... Well Almost!